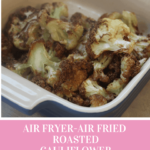 This is one of the easiest and healthies recipes you will make in your air fryer. It’s is a perfect side dish for any meal, since it’s low-carb. With a little seasoning, it makes for a quick vegetable, for those busy days. 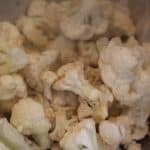 Cauliflower has gained popularity in the past few years, now if you head to any produce market, you can find cauliflower in a variety of ways, including cauliflower rice and cauliflower mashed potatoes, the possibilities are endless. 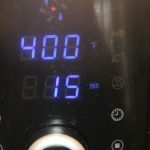 I have not made that as yet, but I’ts on my growing list of recipes, I want to try in the air fryer. Let’s talk about cauliflower since many of us know very little about it. Cruciferous family of vegetables have been more popular in recent years because scientist found that they hold cancer-fighting properties. Cauliflower has a lot of fiber, over 9 grams of fiber, but at the same time very low in calories. Should be dense, the heavier the better. No dark spots on the cauliflower, this shows that it is old, and should be avoided. 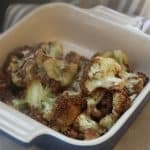 Roasting cauliflower really brings out a nice nutty taste. 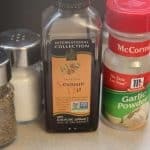 Adding a variety of spices really can change this bland vegetable into the star of your next meal. 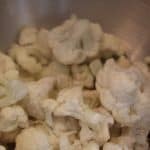 Break up the cauliflower into florets, dispose of the stems. Add the sesame oil, garlic powder, salt, and pepper, and mix well. 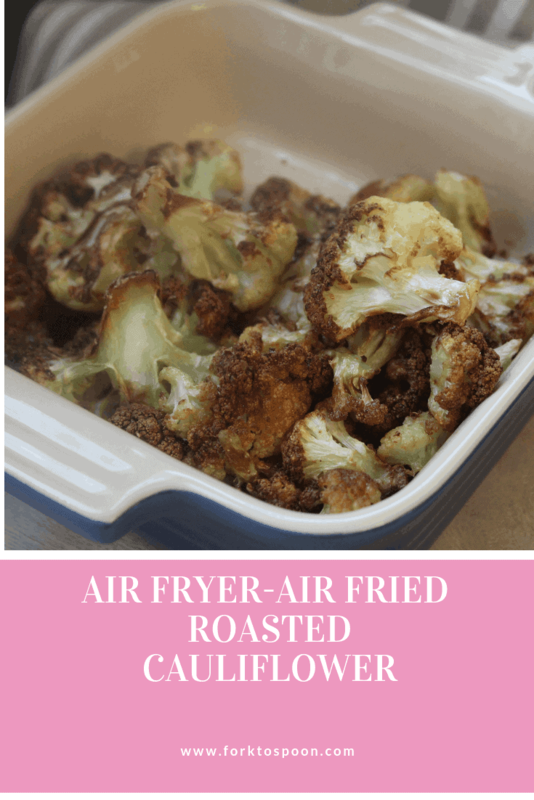 Toss the coated cauliflower into the air fryer basket. Set the time for 15 minutes at 400 degrees F.
Half-way during the cooking process, shake the basket. 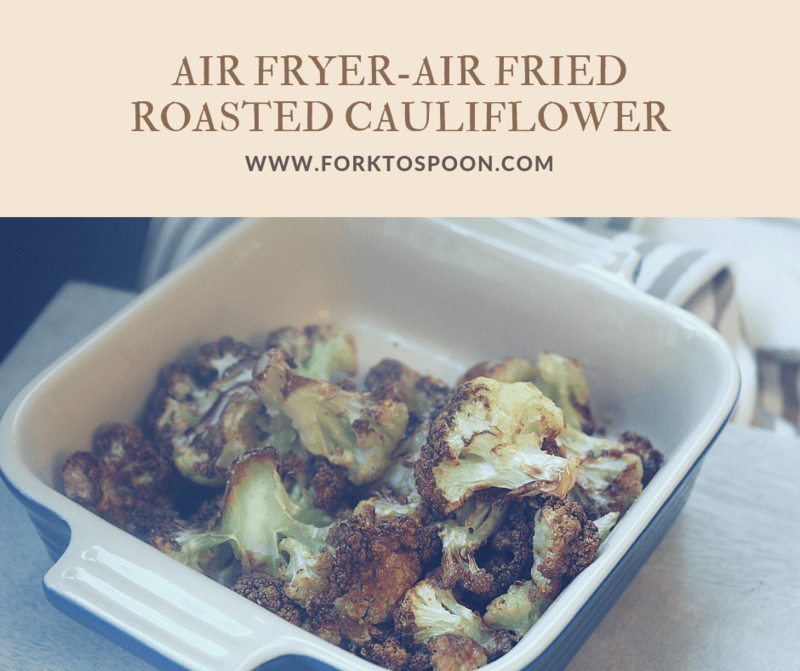 Remove from the air fryer, plate, serve and enjoy!